Our tailors are expertly trained to ensure that you and your groomsmen look your best on your wedding day. We specialise in creating beautiful custom suiting for entire wedding parties, working with you to design the ideal look for your event. We have thousands of cloth and design options available to suit all weddings. As no two weddings are the same, no two suits should ever be the same. Our team can help design any suit for your event, but we’ve put together some ideas to get you started. 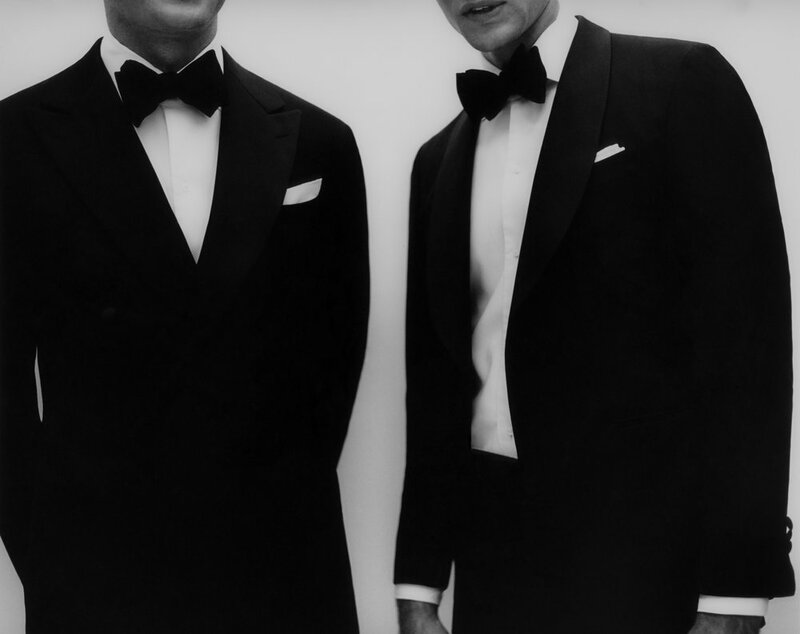 For a traditional, classic wedding, opt for a shawl collared, one buttoned black tuxedo. This timeless design is flattering for a variety of body shapes, and is a perfect understated yet elegant option. Beach weddings allow for fresh, lighter colours; beige, off-white, crisp blue. Go for a breathable, lightweight fabric like tropical weight wool, linen blend or cotton as a suit or seperate outfit with more inherent texture, and less formality. Peak lapels or a double breasted closure adds a presence and visual sharpness that raises the formality of a suit without being brash. An elegant option for any wedding, it’s particularly well suited to formal, city events in the cooler months. Schedule a consultation to begin designing the ideal wedding suit for you and your groomsmen.